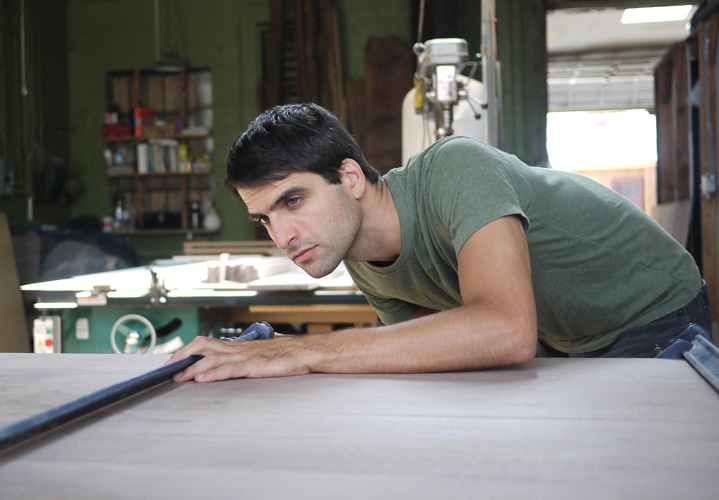 Emmanuel Nicolaidis, LLC is a custom cabinet and furniture making shop in Baltimore, MD. For the past fifteen years we have been dedicated to building high quality cabinetry and furniture for commercial and residential settings. We work directly with homeowners, interior designers, architects and general contractors throughout the Mid-Atlantic region to produce high quality work that will stand the test of time for generations. Projects range in a wide variety. From custom-built cabinetry for kitchens and bathrooms, builtins for the living room and dining room, as well as functional furniture for the workplace. Not to mention unique, one-of a kind pieces of furniture for any setting. Tried and tested methods are used to build our work. We use only the best materials, always locally sourced whenever possible. As our business has grown over the years, our relationship with a variety of local vendors has become stronger. We offer design consultation, in-house fabrication and finishing, as well as onsite installation. And we are present during every installation to ensure the work is completed to the client’s specifications. Here at Emmanuel Nicolaidis, LLC the client has the opportunity to work directly with woodworking specialists to realize their vision for custom built work of the highest quality with a personal touch. Something that cannot be found in any store. Contact us for a free consultation and let’s talk about your next project.